Southwest China’s Tibet Autonomous Region is getting warmer and wetter due to global climate change, data from the regional climate center showed Monday. Tibet’s average temperature climbed 0.42 degrees Celsius per decade from 1981 to 2017, while average annual precipitation has increased by 11 millimeters every 10 years. The average temperature in 2017 was 5.7 degrees Celsius, the third-highest since 1981. Average annual rainfall last year was 492.4 millimeters, 32.2 millimeters more than average. 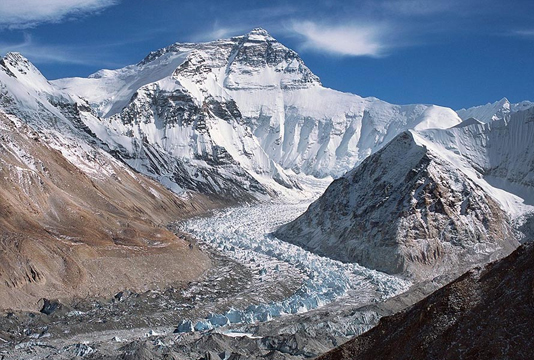 Scientists believe the change in temperature and precipitation on the Qinghai-Tibet Plateau was the result of global climate change, which has expanded the temperate zone and forced the frigid and the subfrigid zones in Tibet to move westward and northward. The overall environment in the highlands is good, scientists said.